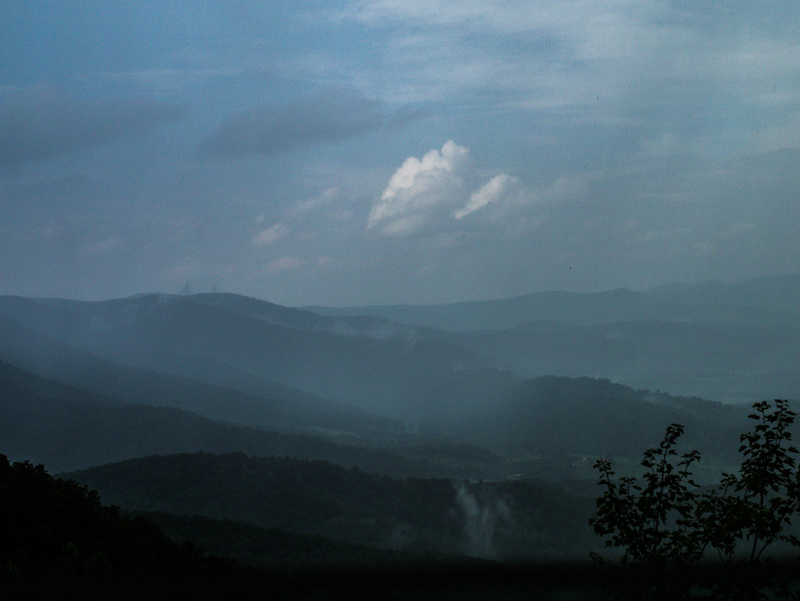 Living fairly close to the Blue Ridge Mountains of Virginia, I have been (as those living around here say) “up on the mountain” many times. Of course, one wishes to always have nice weather when going there, especially during the summer when temperatures above 3000 feet are much cooler than they are down below. But, Mother Nature does not always give us what we want. Given my photographic interest in the region, there are times when I like something different, mainly because that offers me an opportunity to make some photos that are unlike many of the others I have made in the past. Last week on a trip up that way, clouds and rain descended upon us the higher up we got. 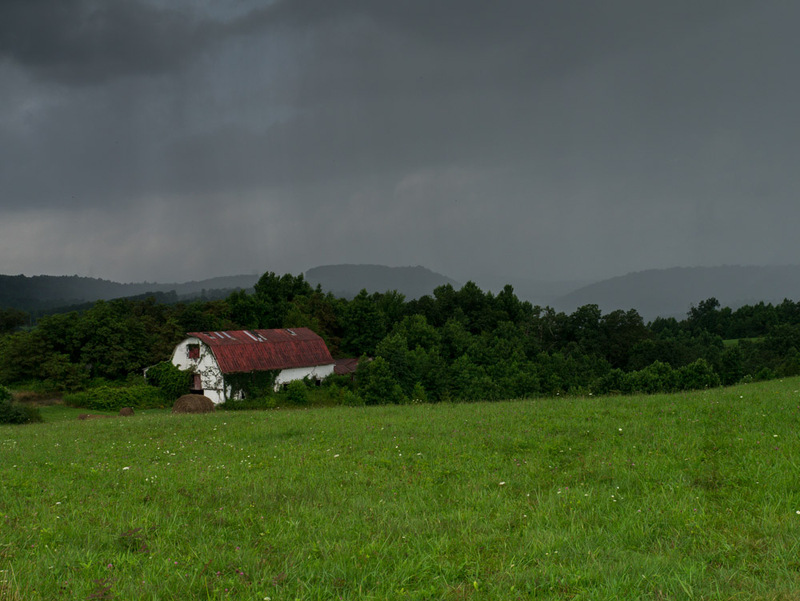 But, there were enough breaks in the “wet” so I could get out of the car and capture some special images that give one an example of the scenic beauty of the Blue Ridge…even on a dreary, rainy afternoon. Beautiful shots….inspires me to photo the thunderheads and squalls at the beach.